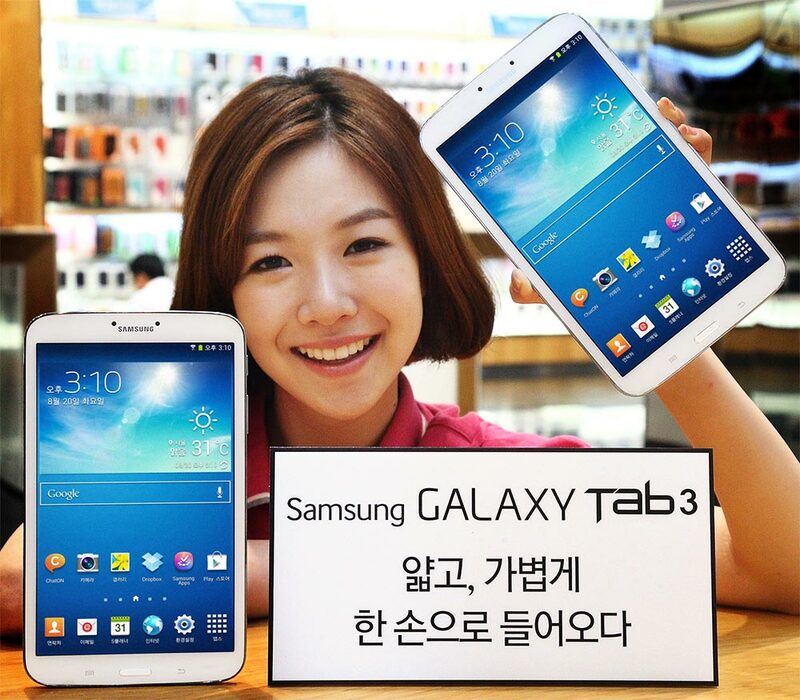 Samsung’s Galaxy Tab 3 8.0 has now made a stop in its hometown – South Korea. Samsung says the tablet is portable enough while giving a large screen experience and comfortable to hold in one hand, thanks to its 7.4mm thickness, 314g weight and slim bezel. Samsung will sell Wi-Fi-only Galaxy Tab 3 8.0 for now and will bring features like an 8-inch WXGA display, 1.5GHz dual-core CPU, 5 megapixel main camera and 1.3 megapixel front camera, 4,450mAh battery and Android 4.2 OS. The tablet also features SoundAlive for premium audio output, Reading Mode for comfortable reading, WatchON that makes the tablet as a universal remote, S Translator, Group Play, Sound and Shot etc. The tablet is priced at 400,000 won.